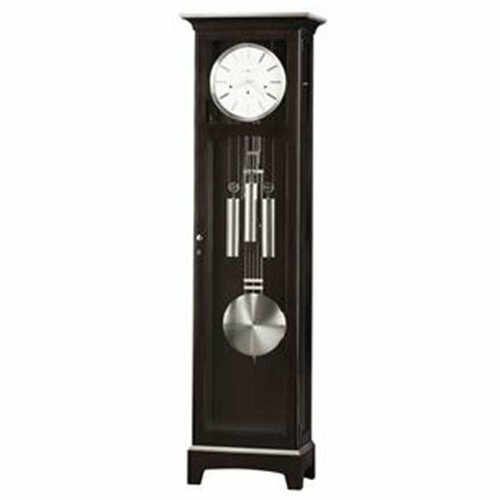 The item you are looking at is our Model Number 610-866, an espresso finished grandfather floor clock, from world renowned manufacturer Howard Miller. We are an authorized Howard Miller Internet Dealer, so you can purchase with confidence. Expedited shipping is available, please contact us at 718-753-6148 for more info. Please note: A contact from our shipping company will call you to schedule delivery of your item. Please bear in mind, delivery time is about 2 weeks to primary coverage areas. Deliveries to remote areas may take additional time depending upon your specific area.